The PX305 and PX 315 series has been discontinued. Please see the PX309 as a possible alternative or contact our Pressure Engineering department. 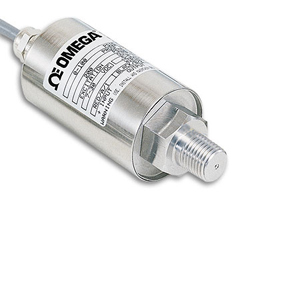 The PX305 transmitters are general purpose, industrial grade transducers, ideal for use in general industrial applications when a robust transducer is required. Wetted parts are constructed of 17-4PH and 300 Series Stainless Steel, with NEMA 4 enclosures constructed of 304 Stainless Steel. These units feature a stable, diffused silicon sensor that achieves .25% accuracy, and have pressure ranges from 0-10,000 psi.